Published: Aug. 9, 2018 at 07:41 p.m. 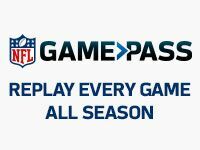 Updated: Aug. 10, 2018 at 01:19 a.m.
Week 1 of the 2018 NFL preseason is here. Here are the injuries we've been tracking on Thursday. 1. Washington Redskins rookie running back Derrius Guice left against the New England Patriots to be evaluated for a knee injury. He's scheduled to undergo an MRI on Friday, coach Jay Gruden told reporters. Guice said "all is well," but that remains to be seen. Wide receiver Trey Quinn is being evaluated for a stomach injury. Defensive lineman Matt Ioannidis left the game to be evaluated for a knee injury. 2. San Francisco 49ers linebacker Malcolm Smith (hamstring), tight end George Kittle (shoulder), defensive end Solomon Thomas (hamstring), running back Matt Breida (shoulder) and offensive tackle Gary Gilliam (head) all left early against the Dallas Cowboys. 3. Indianapolis Colts running back Marlon Mack (hamstring) and wide receiver Deon Cain (knee) left early against the Seattle Seahawks. 4. Tampa Bay Buccaneers cornerback Vernon Hargreaves suffered a groin injury in the first quarter of the team's preseason opener against the Miami Dolphins. He did not return. 5. Cincinnati Bengals veteran linebacker Vinny Rey suffered a right ankle injury during the first half against the Chicago Bears and didn't return. 6. Miami Dolphins backup linebacker Mike Hull was carted to the locker room after suffering a knee injury during the first half against the Buccaneers. He was helped off the field by trainers before taking a cart to the locker room. 7. Jacksonville Jaguars linebacker Blair Brown left during the first half against the New Orleans Saints to be evaluated for a concussion. 8. Green Bay Packers safety Jermaine Whitehead suffered a back injury. 9. Carolina Panthers cornerback LaDarius Gunter is in the concussion protocol. 10. Seattle Seahawks offensive tackles Isaiah Battle (knee) and Jamarco Jones (lower leg) did not return against the Colts. 11. Dallas Cowboys rookie wide receiver Marchie Murdock left for the locker room after suffering an apparent ankle injury against the 49ers.